Users of Microsoft's Windows 10 Mobile beta have been waiting a month for the company to release a new version of its operating system for smartphones. Microsoft finally gave them what they wanted Wednesday ... with a huge catch. Windows 10 Mobile build 10549 is out in the wild, but can only be installed from a phone running Windows Phone 8.1. The team behind the operating system discovered a bug at the last minute that caused phones updating from build 10536 (the latest one public beta testers can run) to open up to a black screen rather than running properly. Rather than make people wait even longer for a new build, Microsoft Vice President Gabe Aul said that the team decided to make 10549 available for those folks who are willing to jump through the hoops of downgrading and then upgrading again, or those upgrading anew from Windows Phone 8.1 anyway. To make the upgrade happen from Windows 10 Mobile, users will first have to fire up the Windows Device Recovery tool, re-install the old operating system, then download the Windows Insider app and opt into the Fast ring. After that, they should be able to use the new build as normal. Installing the new build brings a number of enhancements, like support for using Cortana in Australia, Canada and Japan. The system now supports multiple emoji skin tones, in keeping with similar support from iOS. Despite the massive bug blocking upgrades, this build also includes a variety of bug fixes, like a fix for supporting pinch to zoom in the Maps app. There are a handful of other bugs in this build, however. One in particular may require users to reset their phones if they find that they're missing apps after the upgrade, while another will prevent the phone from showing new messages until after being unlocked for the first time when rebooted. Those people who have Windows 10 Mobile installed on their phones but don't want to bother with the process of re-installing Windows Phone 8.1 will be able to upgrade with the next build Microsoft releases. That could take a while, though: Aul said in a tweet that users shouldn't expect a new version until at least a week from now. All of this is coming as the rollout of Windows 10 Mobile draws nearer. 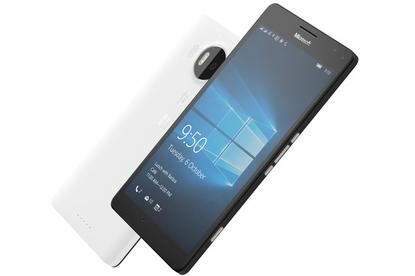 The Lumia 950 and 950 XL flagship phones that Microsoft showed off at its press event last week are slated for release next month, and will be running Windows 10 Mobile. In order for that to happen, the operating system needs to be ready. It will be interesting to see how Microsoft gets there.